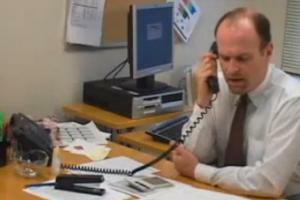 This is a brand new version of the video about Everyday Greetings. It is vocabulary-based for conversation practice and goes through some common everyday greetings using audio, pictures and writing. Quick matching game for practising saying good-bye to friends. Match the different situations with the correct phrase to say good-bye. Learn the perfect phrase for the situation and practise with your friends in your everyday life. Syllables play an important role in spoken English in that they greatly influence the rhythm of the language, its poetic meter and its stress patterns. 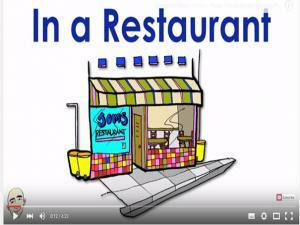 This syllable video lesson shows you how to recognize syllables and how to say them properly. Do you know the basic greetings of English? Test your knowledge or use this game for review! 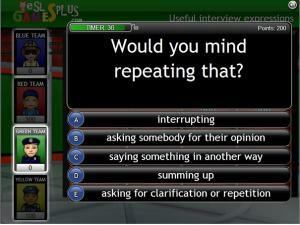 Listen to the audio and match each question to the appropriate answer. Check your work to make sure you got them all right! 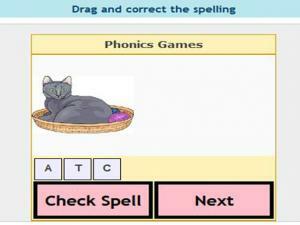 Generate your own game and choose the level [phonic] that you would like to play. What do you say when you meet somebody new? Do you talk about family, nationality, work? This lesson has good ideas for questions to use when you meet a new friend. Are you ready to have a conversation in English? 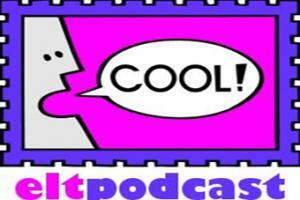 Do you need to improve your ability to have a conversation in English? There are many activities here to help you to: greet people, talk about the weather, make a telephone call, give presentations and more depending on the social situation. 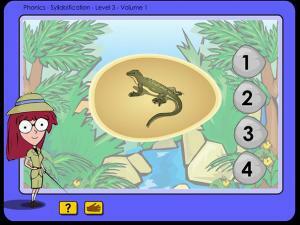 Explore syllables with Dr. Kumar in Triassic Park in this fun, interactive, lesson. Learn how to count the number of syllables in each word, and to recognize the different vowel sounds per syllable. Understanding syllables will help you with your pronunciation and reading skills. This one simple technique will improve your communication and English conversation abilities - no matter what your level is! This is a fun vocabulary-based video to help you practice your conversation and speaking skills. 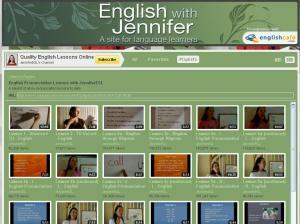 This is a YouTube Channel by TeacherMelanie, an experienced ESL instructor. 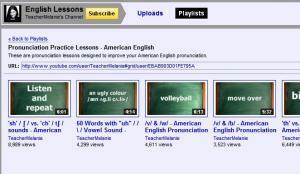 Each video lesson teaches you how to pronounce a set of words or a particular sound in the style of American English. These videos are for active practice, so be sure you're ready to repeat these items out loud. 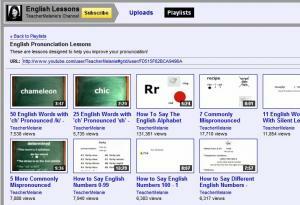 Many videos are about numbers or commonly mispronounced words. Avoid those mistakes by watching these videos! Learn how to speak clearly and be understood! 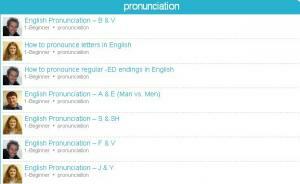 This page is constantly updated with a new pronunciation lesson for beginners, although even advanced learners may benefit from these video lessons. There is a list of past lessons that you can access if you want even more practice. Includes fun tongue twisters! 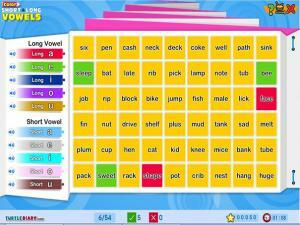 This game helps you to recognize syllables, how to pronounce them, and how they form together to create words. 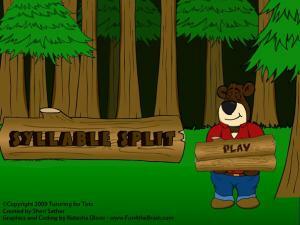 Sammy splits the logs into syllables. Listen to the word he is looking for and click on the correct log that shows the same word. Whether you're currently enrolled in a language program or not, take advantage of free online instruction from an experienced teacher via this YouTube channel. 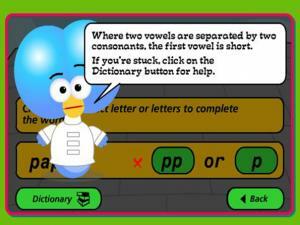 The lessons include detailed instructions on pronouncing letters and a variety of words. Do you know difference in pronunciation between 'hoping' and 'hopping'? This is a good site from the BBC to help you understand the pronunciation for words that have single or double consonants. Improve your ability to have a conversation with ANYONE -- even complete strangers! This English class will show you how to talk to anyone in a more natural tone. Excellent resource for anyone planning to work, study or live in an English-speaking country or an English-speaking workplace. Includes basic expressions with an emphasis on Business, Travel and Interviews. There are also some essential idioms and slang phrases. This is Dave Sconda's YouTube Channel. 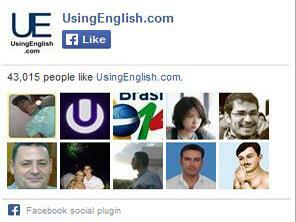 Here, the experienced ESL instructor has posted lessons about conversing in English. These video lessons include pronunciation tips, but are even more helpful as they focus on what phrases to use in specific situations. This series will build your speaking confidence with English. 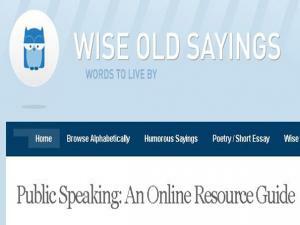 This page is constantly updated with a new lesson to enhance your speaking ability. There is a list of past lessons that you can access if you want even more practice. Get started! The best way to practice your English is with a native speaker. But what do you say? How do you proceed? The teacher gives an entertaining class about how to start a conversation and continue speaking. 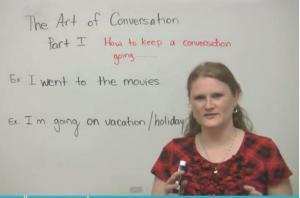 Conversation is an art and this teacher give tips of how to master the art of conversation. 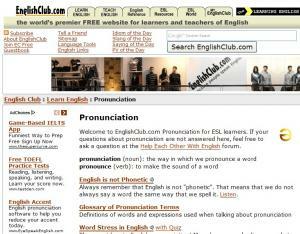 Many different pronunciation lessons are here to help you with any pronunciation difficulties you may have. 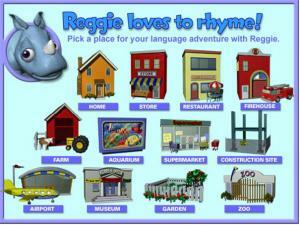 Lessons include: word stress, linking words, pronunciation for contractions, etc. An excellent place to start to improve your pronunciation. This fun animation gives you 2 examples of good and bad speeches, what you should remember to do (and not do!) and how to make the best speech to improve your grades! 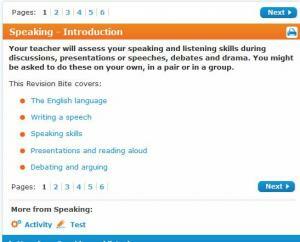 This is a site to help you prepare for a speaking exam. Talking about yourself is a very common task at the beginning of a speaking exam. It is something you can prepare at home and practice. Watch the video, read the advice and check your understanding with the exercises below. Learn how to do almost anything! 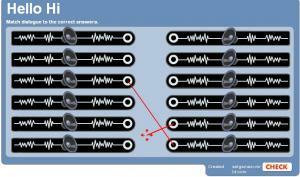 This is a series of very detailed audio lessons (and transcripts) with some text explanations and examples. These lessons are designed for intermediate-to-advanced learners looking to refine their conversational skills and sound more native. Learn how to speak politely in English using "sorry", "excuse me", and indirect questions. 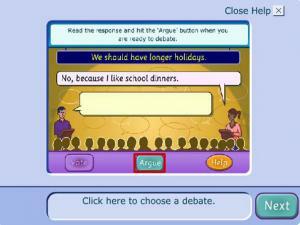 In this English lesson you will hear people making a date to have dinner and go to the movies together. They use polite questions to make each other comfortable. 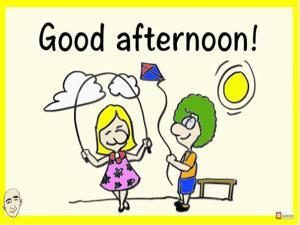 You will learn about etiquette in English so you can ask and answer questions in a polite way. In this Revision Bite you'll learn how to prepare a speech, presentation or for a debate. 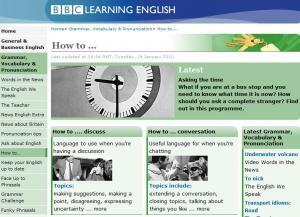 After reading be sure to try the interactive video activity and self-test. The video activity is a "conversation" between you and Geoffrey, who reviews different styles of speaking with you. 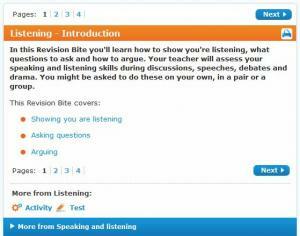 In this Revision Bite you'll learn how to show you're listening, what questions to ask and how to argue. These tips will enhance your speaking skills. 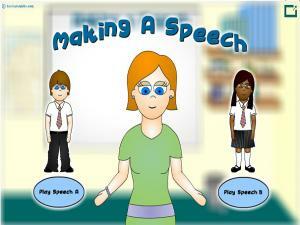 After reading be sure to try the interactive video activity and self-test. 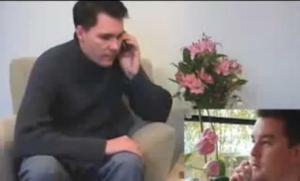 The video activity is a "conversation" between you and Geoffrey, who gives advice on listening well. A good tutorial that guides advanced students through each stage of giving a presentation in English, from the initial preparation to the conclusion and questions and answers. You can follow it logically by starting at the Introduction and then clicking on the link at the foot of each page, or you can jump direct to the section you want from the list of contents on each page. This interactive debating game lets you debate against someone arguing from the opposite point of view on a number of different subjects. Read their argument before choosing a response from a list of possible alternatives. The judges will then vote on who they thought had they best argument. Have fun learning about debating and arguments and get the crowd on your side! 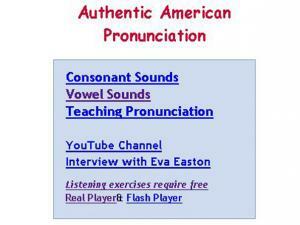 A comprehensive site going through all the different vowel and consonant sounds, as well as common word groupings and common pronunciation difficulties for American Pronunciation. You can access the Audio on this site through either the Real Player or the Flash Player.